Here is another easy outfit for transitioning into fall. Can you tell that I have a deep love for blazers? 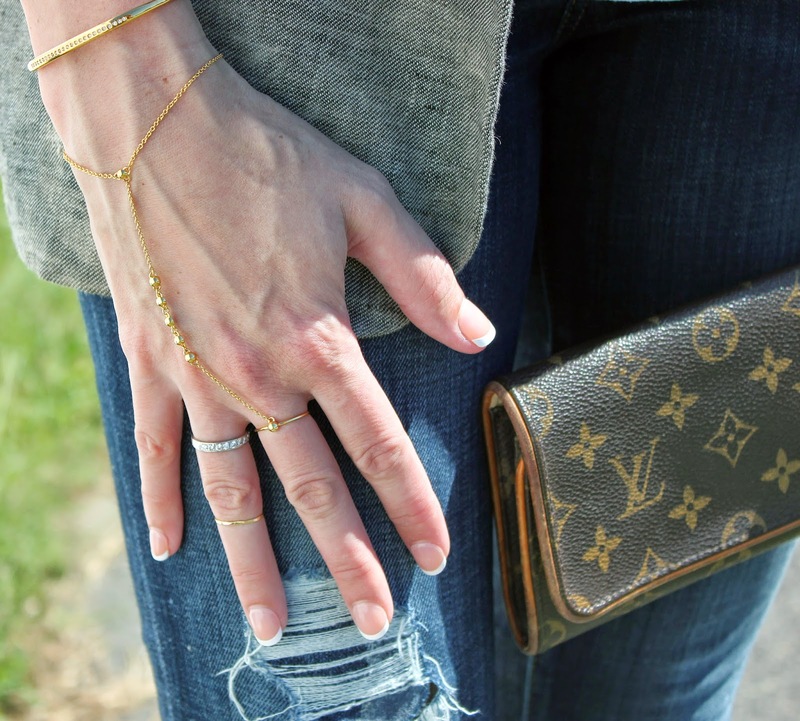 They are the perfect piece to throw on when the temps drop into the 60's and 70's (I'm always cold, so yes, I need something warm when it's 70 degrees), and I love the juxtaposition they add to ripped jeans. These ankle boots are my new favorite. The cut out heel adds a little edginess, and they are the perfect shade of gray.